A video has captured a pickpocket stealing the cellphone of a passenger inside a jeepney with route that passes by NAIA Terminal 3 to Baclaran. Shared on Wednesday, February 25, by a certain Makonotsi Ippo to the ‎'Crazy & Funny things in my News feed' Facebook page, the video already got more than 16,000 shares and over 418,000 views on the social networking site as of 7 a.m. today. 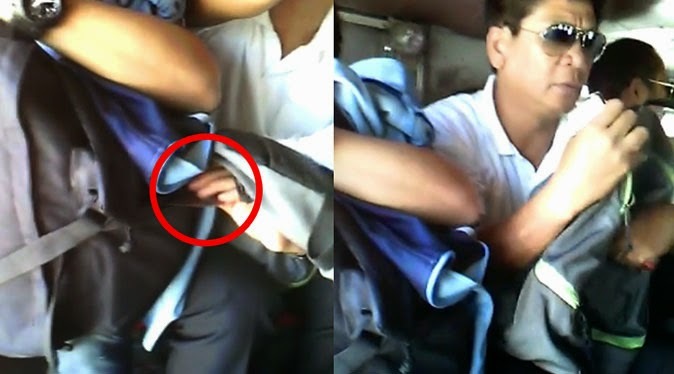 While many thanked Ippo for taking and sharing the video to raise awareness among commuters, there were some who criticized the uploader for not doing anything that would prevent the thief from carrying out the criminal act. If you were Ippo and you see theft happening in front of you, what would you do?